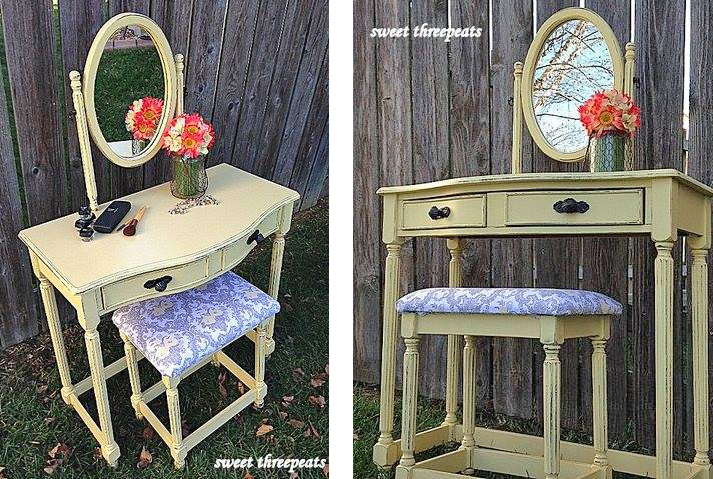 Refurbished by Sweet Threepeats says, "This adorable vanity was brought to us all the way from Kentucky. We went for General Finishes Buttermilk Yellow and got rid of the dated knobs. The pretty new fabric for the bench and drawers finishes the makeover."